Read Their Lips: No New Taxes. Pledge Season Is Officially Open. 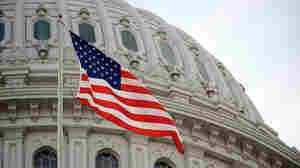 April 24, 2015  For more than a quarter century, Republicans have been asked to sign a pledge not to raise taxes. The first two presidential candidates this year have signed it, but there could be one big holdout. November 27, 2012  The man behind Republicans' "no new taxes" pledge says Democrats won't propose "real" spending cuts or reforms. It's a fantasy to think they would, Norquist says. 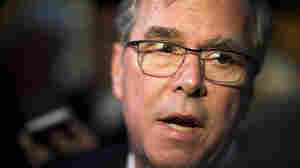 So, he says, even those Republicans who are suggesting they might vote for higher tax revenues won't do so. November 3, 2011  journalists couldn't help but notice how House Speaker John Boehner appeared Thursday after a reporter asked him about Grover Norquist's influence, to diminish the anti-tax activist's impact on congressional Republicans. The speaker downright seemed turned one of Washington's most influential issue advocates into a member of the 99 percent. 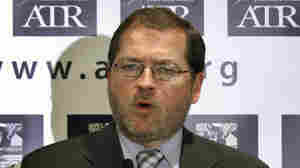 October 4, 2011  It's rare to see a Washington Republican go after Grover Norquist, the president of Americans for Tax Reform, who enforces ideological conformity with his anti-tax pledge. But that happened Tuesday when Rep. Frank Wolf, a Virginia Republican, said his conscience led him to warn his colleagues that Norquist shouldn't be dictating the nation's fiscal policy because of Norquist's background. 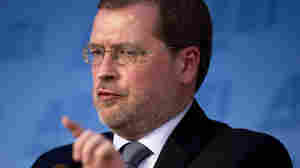 July 21, 2011  Grover Norquist, Washington's most feared anti-tax advocate, backtracked from remarks he made to the Washington Post editorial board in which he suggested that a lawmaker who voted to allow the Bush-era tax cuts to expire wouldn't be guilty of violating the anti-tax pledge he has gotten so many to sign. INVITE MORE CONSERVATIVES TO NPR?